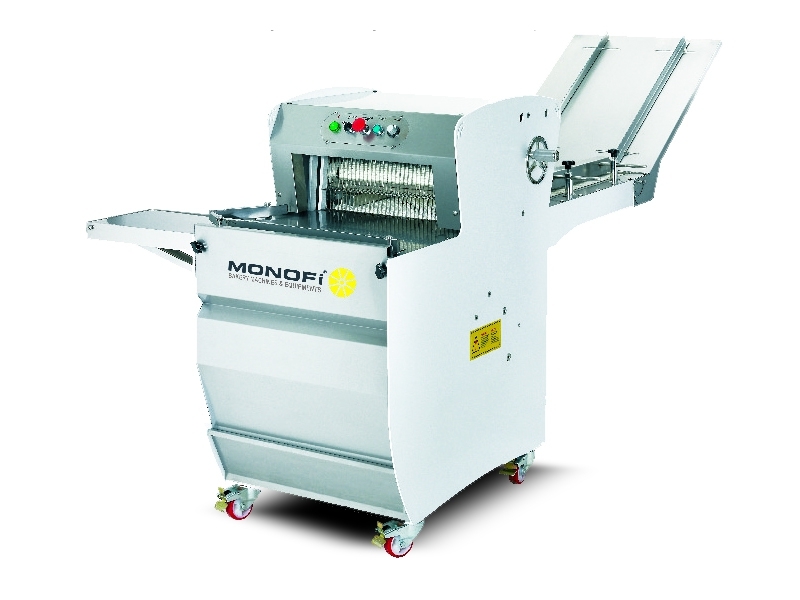 Bread Slicer which is designed for large scale bakeries, pastries, restaurants and hotels, is an esthetic and versatile machine. * Wheels provide mobility to the machine. * All surfaces which are in contact with the bread are made of food stuf friendly materials. * Silent Operation without vibration. * İt slices 900 per hour. * Blades can be coated with teflon optionally. * Bread clutch adjust can be done manually. * Blovving packaging equipment can be added optionally. * Ramp Lenght is 1 m and it is detac-hable.